Business community assists to revive and grow the National Botanic Gardens of Lae. The Lae Chamber of Commerce Inc. (LCCI) supported by some very active members, initiated a project to rejuvenate the National Botanical Gardens over 12 months ago. This led to the creation of the National Botanic Gardens Advancement Program which is a prime example of how industry strengths can be harnessed through collaboration between industry, government and the community. Not only will the National Botanic Gardens of Papua New Guinea be revived through a shared vision between partners, improved community and business infrastructure will help to deliver long-term, sustainable outcomes, bringing benefits to the Lae community and visitors while delivering prospects for a stronger future for the Morobe Province, Papua New Guinea and the world. Over time residents and businesses have witnessed so many phases, changes and growth within Lae and the Nation as a whole however the National Botanic Gardens of Lae continue to be spoken of with nostalgia. At its best, the Gardens were the pride and joy of Lae and PNG, renowned internationally for its flora and fauna, history and culture. It was a place for the community to come together and appreciate the incredible diversity of PNGâ€™s environment. It was a place for community to run, ride or relax, a place to gather as friends and family, and a significant place of research and education. It was a treasure to be celebrated and valued. Currently, the opportunity and the will of the community is here to revive the Garden City of Lae through the National Botanic Gardens (LAE) Advancement Program (NBGLAP), and the business community of Lae is stepping up to back it all the way. There is increasing interest and momentum building and it is easy to see why businesses and interested stakeholders are eager to be involved in the Advancement Program. Supporters have come on board in a variety of capacities from hands on work to the supply of necessary infrastructure and equipment. This has already included building the capacity of workers through the supply of necessary tools, safety equipment and uniforms by a range of companyâ€™s including Bishops, Hila Holdings, Farmset and other private donors as well as the hosting of a Community and Safety team building day by Nestle involving more than 250 staff members. There is more to come including Dulux Paints who will paint existing picnic facilities and Swire Shipping who are currently engaging a world class design company to design four internationally accredited Gardens. At the garden level, a dedicated and newly equipped team are working hard to clear overgrown areas, weed, mow, fix pathways, reduce rubbish, clean, plant and rejuvenate the garden to restore it as a safe place for the community to visit. Plans are in place to enhance existing infrastructure including establishing a resource and visitor management centre, reviving ablutions, pathways and picnic area facilities and restoring the ever-popular RAAF C47 plane, all thanks to generous business sponsors of the program. PNG FRI acting Director Dr Martin Golman says â€œIt would be tremendous to keep this momentum going and to achieve this, the program needs even more support to deliver key deliverables and to be ready for re-opening to the public in October this yearâ€. PNGâ€™s Forest Research Institute and the Friends of the Botanic Gardens continue to appeal to businesses, government organisations, NGOâ€™s, community groups, religious institutions and individuals to participate. Support comes in many forms and the gardens need it all! This may include resource support, machinery hire, equipment, garden materials, building expertise, promotional opportunities and volunteer labour to bring the gardens back to itsâ€™ former glory. The Gardens are now open on Wednesdays from 9:30 am â€“ 12 pm to those gardening enthusiasts who would like to help our gardeners, this is a great opportunity to see all the work that has been done so far and enjoy the aesthetic value of the natural environment! For more information on getting involved, please contact the Curator, Michael Lovave at the PNG Forestry Research Institute on 472 1041 or 472 4188 or email mlovave@fri.pngfa.gov.pg. The National Botanic Garden (LAE) Advancement Program is progressing well. The seven grounds people are now in uniform and well equipped with safety gear and tools and equipment to clean up the Gardens. The Forest Research Institute and Friends of the Lae Botanic Gardens would like to thank Laeâ€™s business community including Bishops, Farmset and a long term and respected resident of Lae – Fred Cook – for equipping their workers to deliver the program. The Forest Research Institute continues to recognise the important role the outdoors and particularly the natural environment fulfils for community membersâ€™ life and would like to make available opportunities for community to join the Friends of the Lae Botanic Gardens and participate in the Advancement Program. The Gardens will now be open to Friends on Wednesday mornings from 9.30am until midday for members to bring their tools, energy and commitment to participate in the Program. In addition to fulfilling other aspects of the Program, PNGâ€™s Forest Research Institute in partnership with Friends of the Lae Botanic Gardens continue to seek support from businesses, community organisations, government and the broader community to help implement the program. For more information please contact Michael Lovave at the PNG Forest Research Institute on 472 1041 or 472 4188. Four World Class Gardens for Lae – Get involved now! 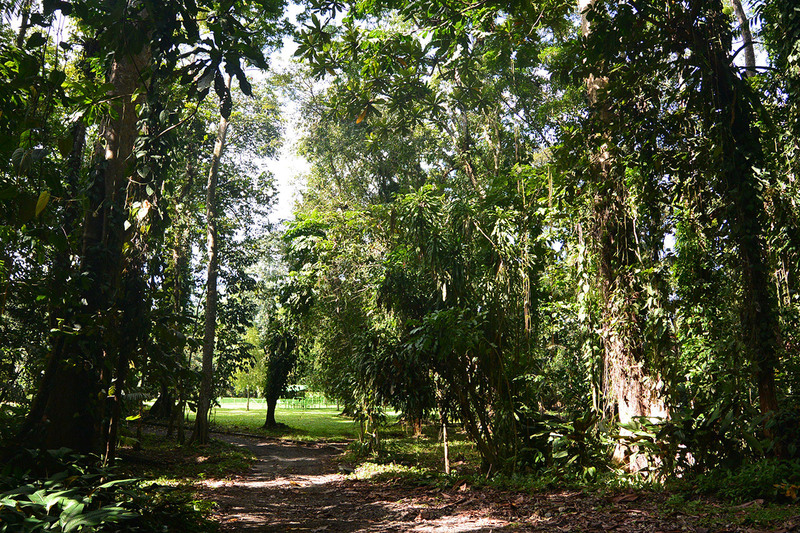 Current and past residents of Lae often speak about their fond memories of spending time in the Lae National Botanic Gardens with family and friends. Friends of the LAE National Botanic Gardens are now working to put in place the necessary infrastructure and facilities to reopen the gardens to the public this year. The first steps of the National Botanic Gardens (LAE) Advancement Program is to deliver improved security and re-open the gardens to the public. 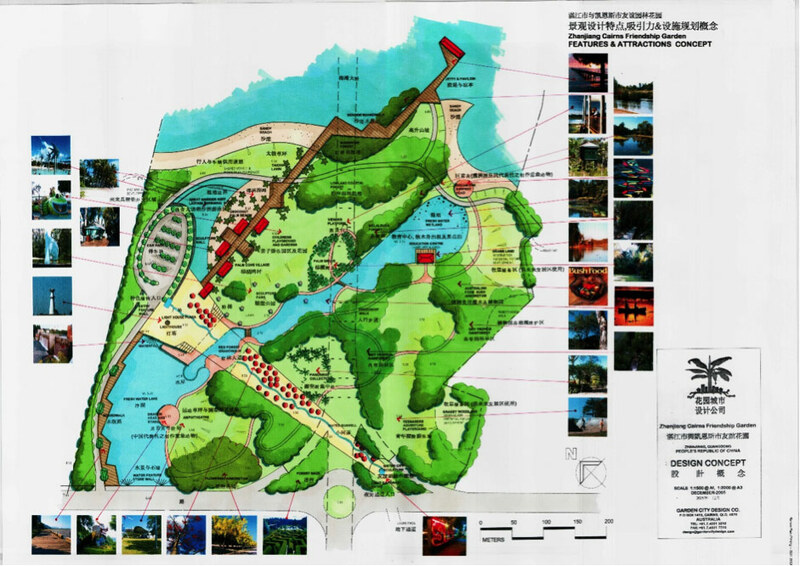 The Four Gardens Initiative plans to deliver four world class, native themed, public gardens adjacent to the Milford Haven roadside of the Botanic Gardens this year. Each garden will be designed by award winning designers and delivered with supporting visitor facilities including picnic tables, BBQ facilities, shelters and other features for business, friends and families to enjoy. The Advancement Program is already starting to receive support from the Lae business community including communication support through the Lae Chamber of Commerce, servicing of equipment though Farmset and the supply of safety equipment and other tools through Bishop Brothers Lae. Friends of the Botanic Garden LAE are now inviting business, community, individuals and government organisations to strengthen the delivery of the Advance Program and get involved in the delivery of the Four Gardens Initiative. If you are interested in becoming a partner and/or participant in this initiative or require more information please contact Michael Lovave on email: mlovave@fri.pngfa.gov.pg or phone: 472 1041 or 472 4188. Figure 1 Example of a world class design by Garden City Design Co â€“ due to be delivered in Cairns by the end of 2015.